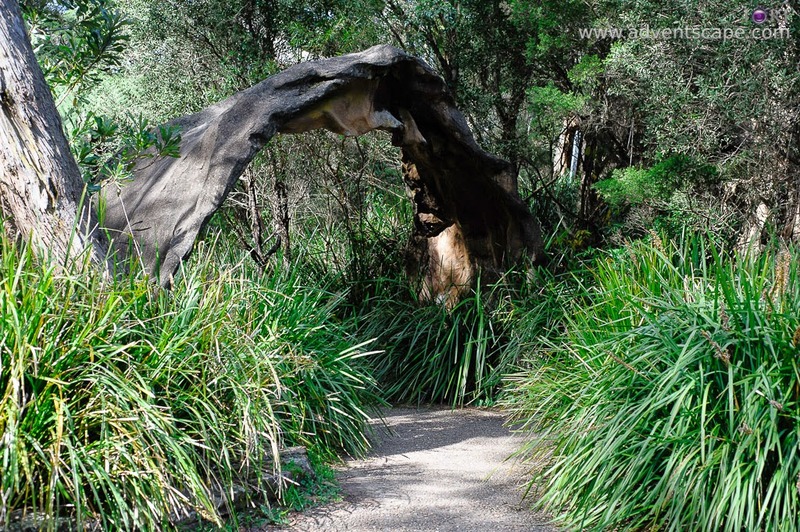 The shortest, easiest and beautiful bush walks I ever did. Highly recommended to anyone at any age. Waterfalls are beautiful. They are dynamic, cool and serene. I prefer to see waterfalls after the rain. This way, you're sure that a significant amount of water flows downstream. But waterfalls are usually located at the heart of the forest. They are not easy to find nor easy to access. The whole track could take hours and slopes could be challenging. 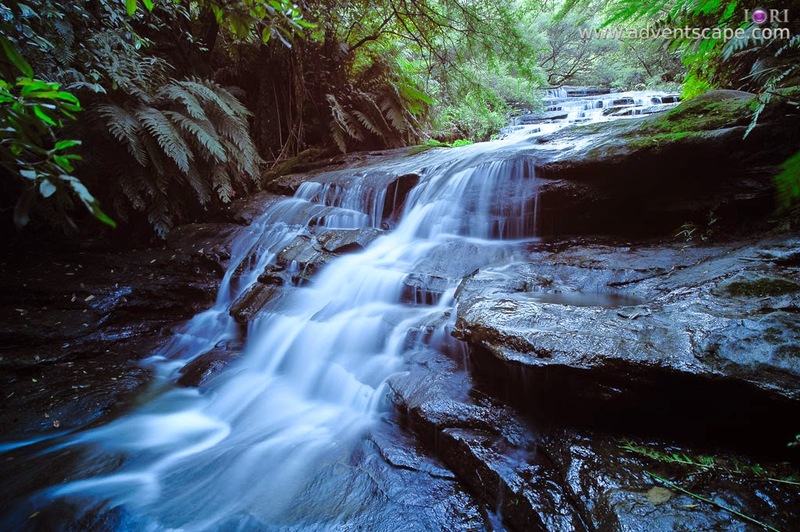 Leura Cascades is one beautiful cascading waterfalls. It is easily accessible. There are signs at the entrance and the route is clear. Wooden pathways are made with handle bars for safety. If you're going to walk without taking photos or stopping, you'll only need less than an 30 minutes to complete. Chelmsford Drive is a straightforward road. You'll know when you're there because the area is wide. There are parking spaces in either side of the road. There are benches at the grass for picnic or resting. The good thing is there are toilets. Toilets are very useful because Blue Mountains is usually cold. This is well maintained and clean. There is a playground where kids can play. With water constantly flowing in the vicinity, this area is cool. 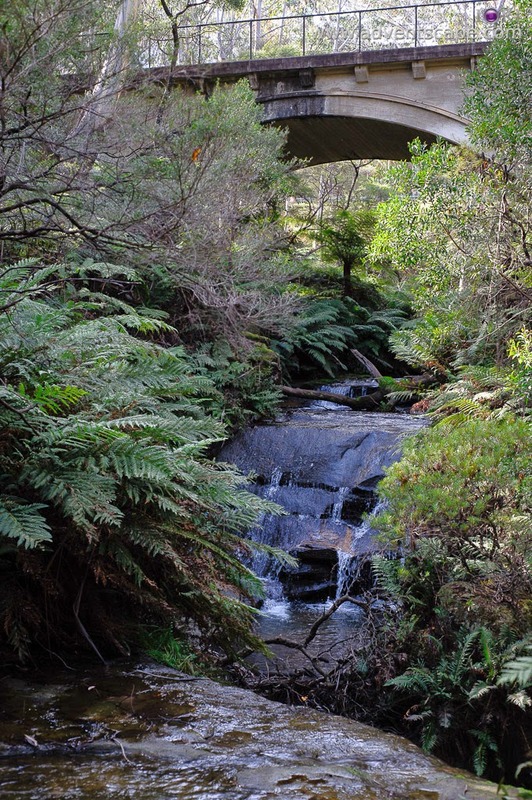 During the cold season, Leura Cascades can get colder. There are signs at the start of the walk. You won't get lost. The toilet is conveniently located at the start and it's wise to use it before walking. There is also an arch that shows where to start the walk. 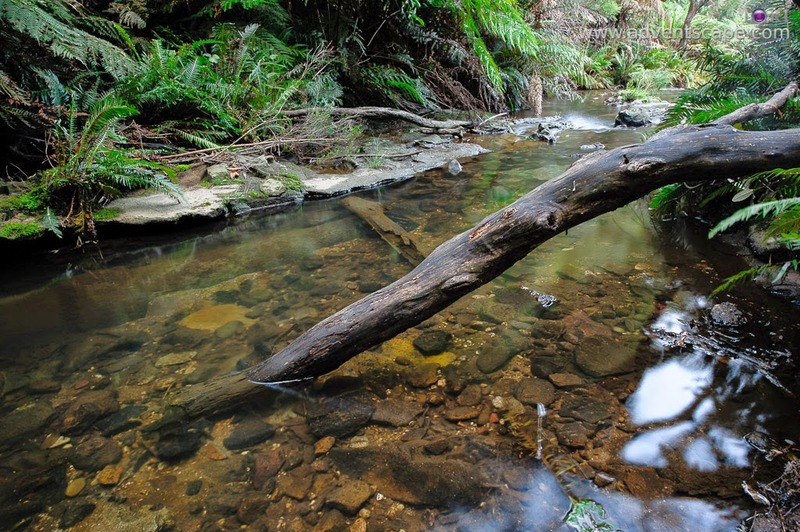 The waters at Leura Cascades came from Leura Creek - a creek that passes over a bridge. You'll see this bridge as you start your walk towards the waterfalls. Going a bit further, you'll notice that the whole track is made for convenience. There are railings to hold on to and prevent falling from the route. There are many signs and directions so you won't get lost. You don't need to divert away from your tracks. 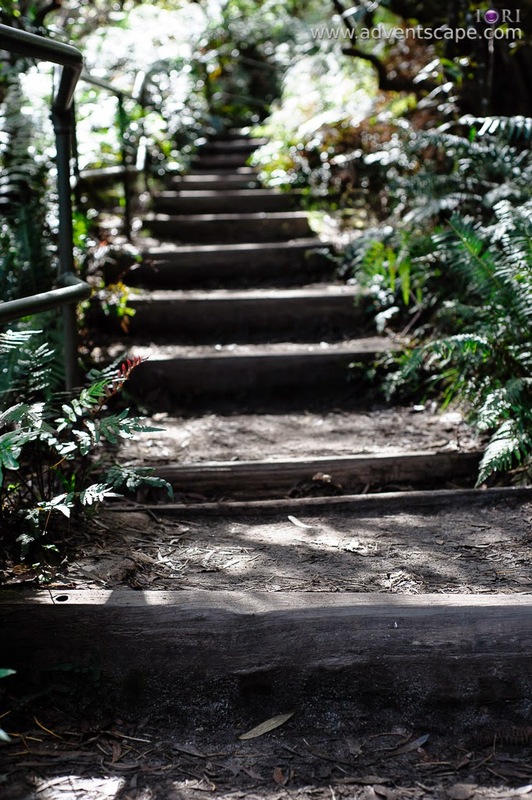 There are wooden steps and pathways made that help your know go down the slope. There are many cascades, or levels, to this waterfall that makes it very interesting. There are many access areas where you can have a direct contact with the waterfall. Just be careful as the cascades are slippery. The cascading rocks with flowing water is very tempting to walk over, but don't! These rocks are very slippery. The water makes it even more slippery. It's best to stay at the sides and view the waterfall from there or take photos. 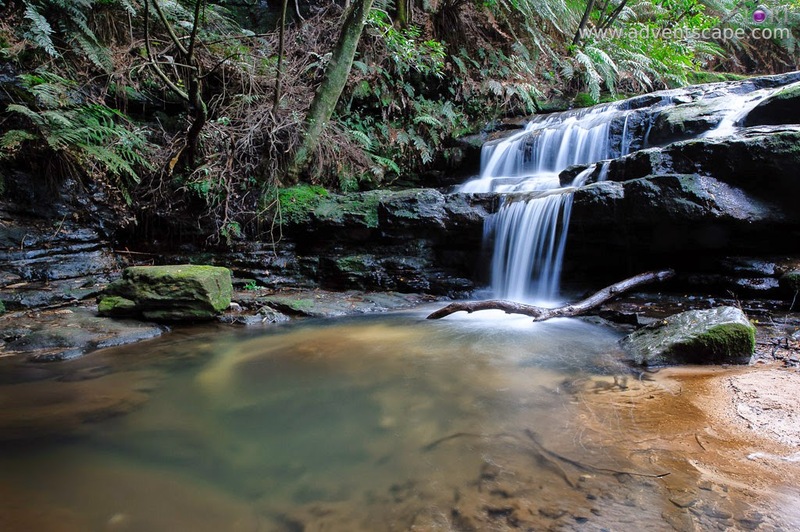 For me, the best part of Leura Cascades is at the lowest level. This has an overhead ledge where you can view the lowest part of the cascades. This is the base of the cascades and a small pond that forms a reservoir. The ledge has metal railings for safety. But the height of the ledge to the pond is low, thus you can go under/over the metal railings and actually walk around the reservoir. The lowest part is slippery. Take caution when walking. The waters from here will go to a stream towards a lookout. It takes a few minutes to walk from the base of the waterfall to the lookout. There are no more waterfalls beyond this point. 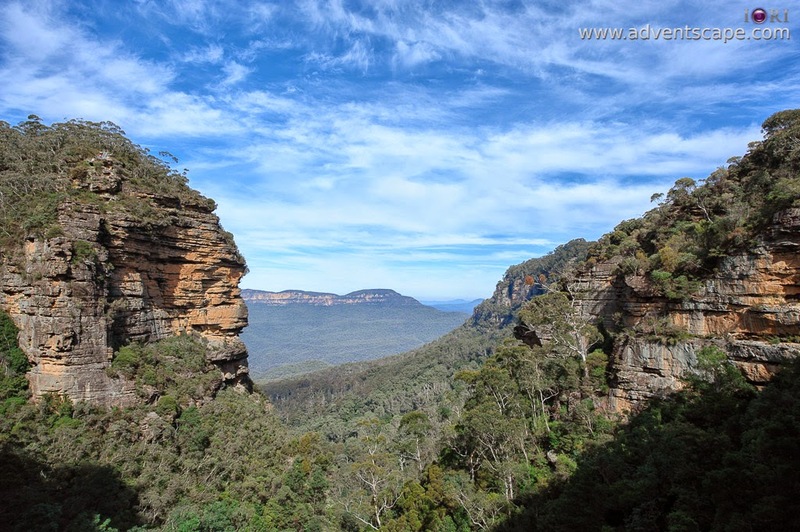 If you continue to walk further, a majestic part of the Blue Mountains can be seen. This is called Majestic Lookout. It's beautiful - but be sure to arrive in the morning to noon. Arriving here at the afternoon will cast a shadow on some parts of this majestic view. This will give a very dark shadow on your photograph. 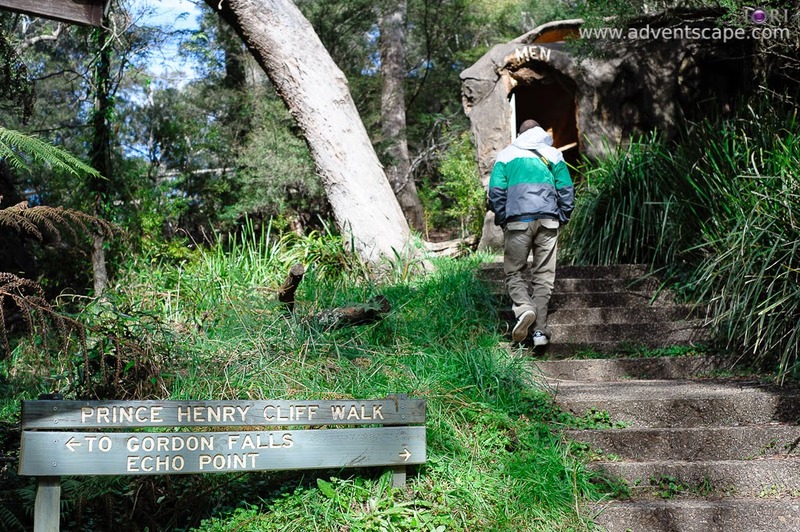 Going further to this walk will lead to Bridal Veils Lookout, a lookout that showcases Bridal Veil falls. 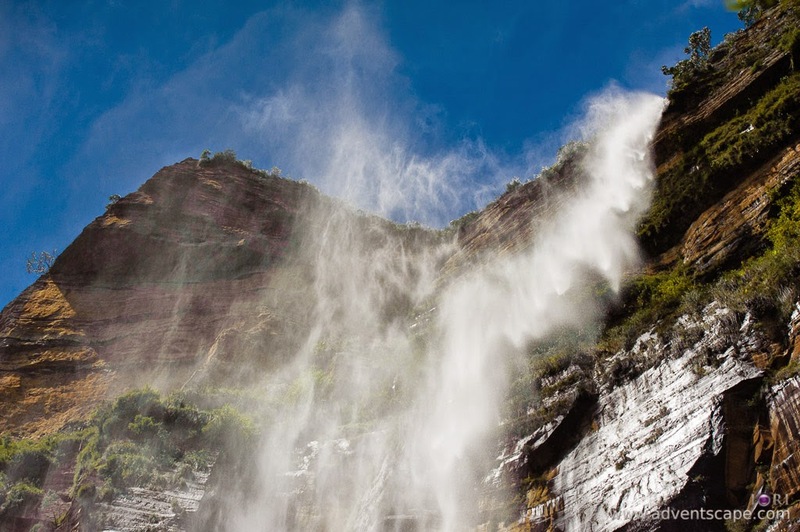 Bridal Veil Falls is a high waterfall coming from a cliff of the mountain. Since the fall is too high, the water somewhat vaporises when it falls to the bottom of the falls. If you plan to go to Bridal Veil falls, the view at the feet of the waterfall is equally amazing as well. 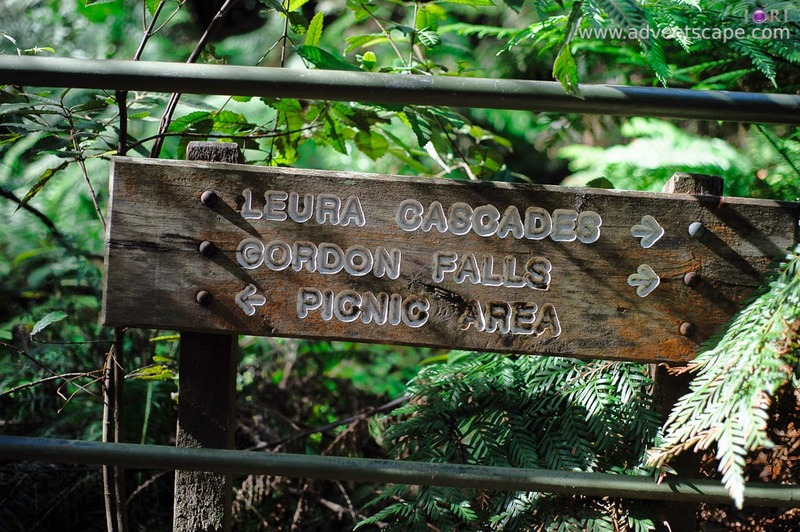 Going furthermore to the track will lead back to the start of Leura Cascade circuit. This track only takes almost an hour to complete. After the track, it's good to take a rest and do picnics. I just did a 30 minute walk from start to the Majestic Lookout. I did not complete the whole one hour track. I think enjoying the waterfalls is enough for me not to spend the whole one hour to complete the track. 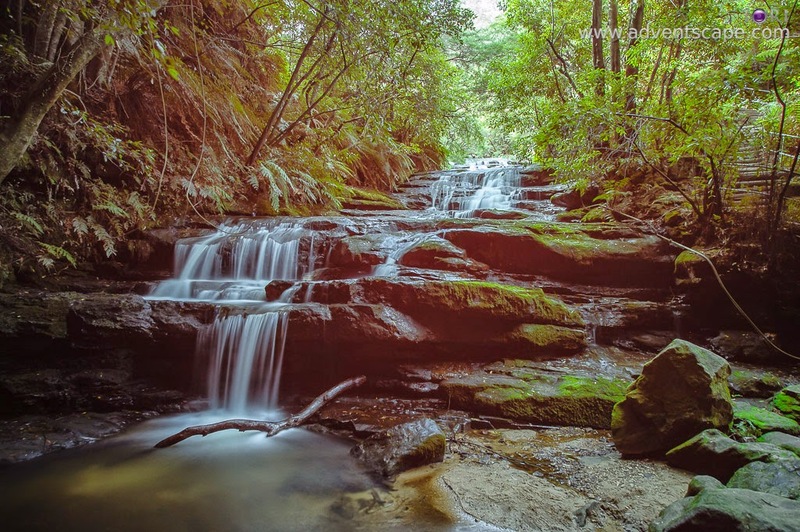 Leura Cascades is a beautiful place. If you want to see cascading waterfalls without going through hours of bush walk or trekking, this is your best bet. It only takes almost an hour to complete the circuit and only a quarter of an hour to reach the waterfalls. 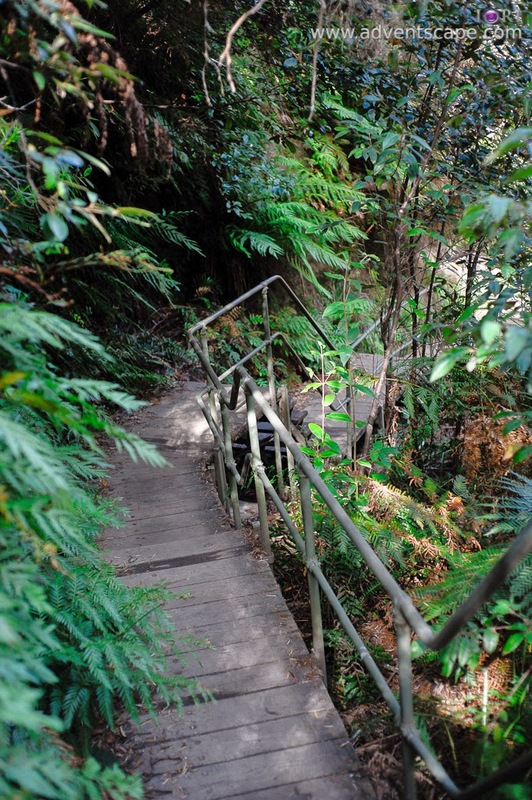 Since this track is maintained with wooden steps, pathways and railings, it's suited to people of all ages. A fun day for the family to enjoy. If you are going to Echo Point for The Three Sisters, its a good idea to include this trip to your schedule.